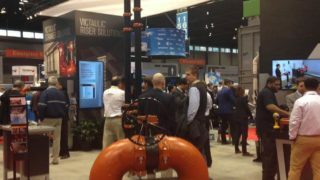 Why did Victaulic decide to put time and resources into developing the new FireLock Installation-Ready Fittings? 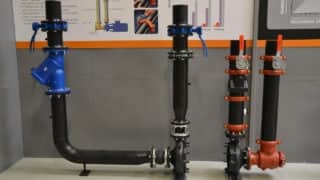 We have spent the last 10 years innovating on the coupling side of the business with our unique Installation-Ready technology, which allows customers to not have to disassemble the product in order to install it. We wanted to be able to take a look at how we can incorporate that same innovation into a fitting to give the contractor additional time and labor savings as well as allow them to more easily manage their inventory on the jobsite, and have all the other benefits of Installation-Ready technology at their fingertips. This is particularly important with small fitting sizes where it’s very manageable to handle a single fitting versus three or four components. So in short, we wanted to take Installation-Ready to the next level and put the proper resources in place in order to do so. What are the advantages of the FireLock Installation-Ready Fittings over the competitors such as threading and traditional grooving? The major advantage is going to be the time-savings benefit the product offers contractors. There is also no mess at the jobsite, and it eliminates all of the double wrench work that contractors have to do to tighten threaded fittings. This Installation-Ready technology also eliminates loose parts common with traditional couplings and fittings, eliminates the need to lubricate the gasket and keeps the contractor from traveling up and down the ladder multiple times for one installation. We did studies on the comparison between the different products that you can see here. From a maintenance perspective this product is easy to remove. Take the fitting housings off and the gasket is much like a flexible fitting – it will come out of the system very easily and likewise go back into the system in the same fashion. Put a new gasket in, fit it over the 2 or 3 pieces of pipe, put the housings back on top and tighten it. What are the advantages of having smaller take-out dimensions? Have you been testing the new FireLock Installation-Ready Fittings in the field and if so, what has the initial reaction been at the jobsites? This technology has been out in the field over the last 8-10 months and the reaction, across the board, has been very positive. The most common question has been, “how quickly can I get this product?” And “it doesn’t get any easier to install than this.” A great feeling and reaction from our customers that assures us we are bringing something new and innovative to the marketplace that is going to make their job easier.